These clasps measure 16mm long by 14mm wide by 6.5mm thick and the loop measures 4mm in diameter. There are 5 clasps in a package. 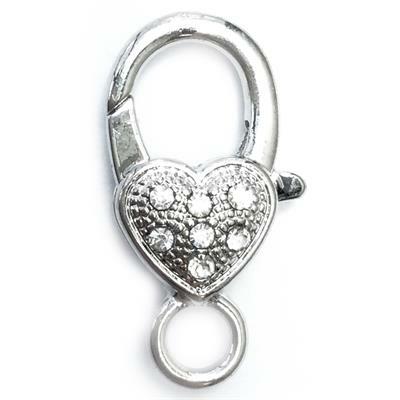 These clasps are made of a platinum plated alloy and rhinestone crystals.